Our patio needed a little freshening up for summer. 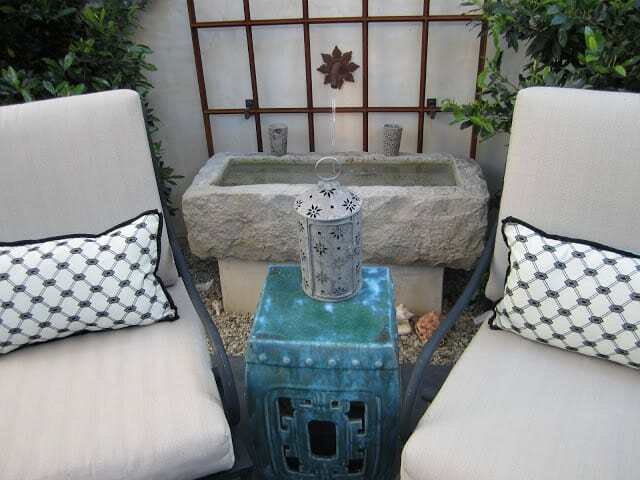 This turquoise garden stool from Roger’s Gardens* was the color inspiration. turquoise seat cushions from Home Goods. 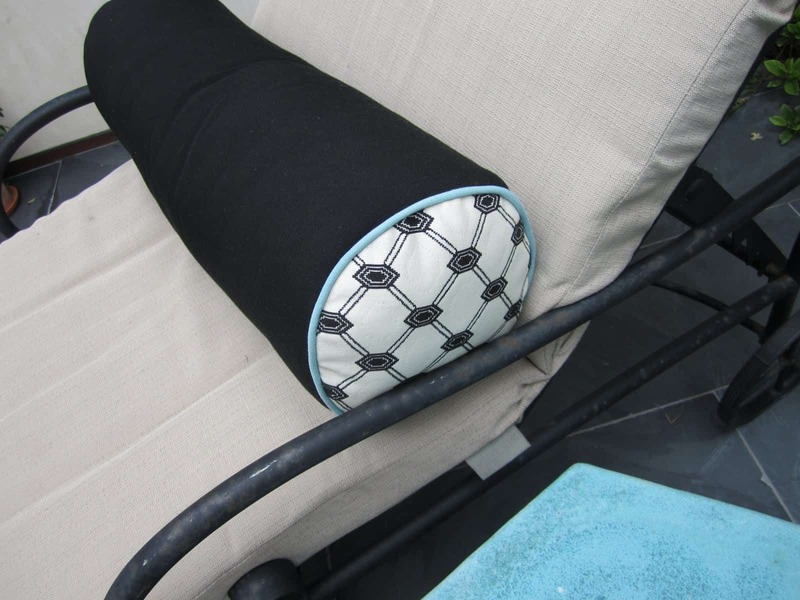 As well as, custom cushions using Kravet outdoor fabric. 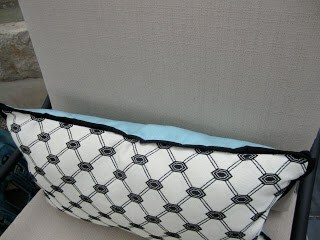 Notice the small piping in turquoise blue that I used on this bolster. Fresh potted plants from Home Depot. you will find sand and sea shells. Information on the French trough fountain is here. Look I at the fruit salad my friend, Susie made recently. used a pumpkin carving knife. 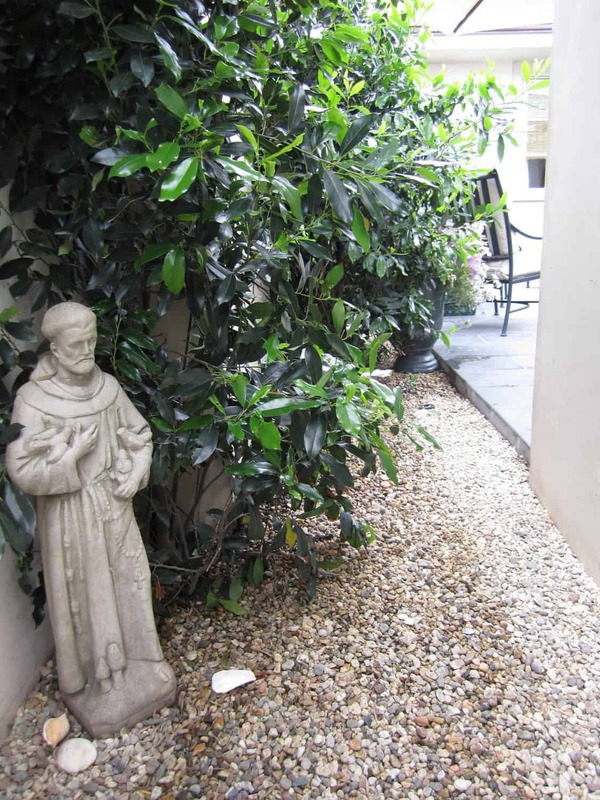 What updates have you done lately to your outdoor space? 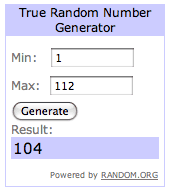 Lynette from Lynette’s Photo Art is the lucky winner of the set of sea urchin vases! 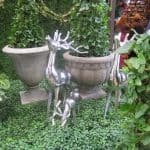 *Read more about Roger’s Garden’s Ciao Newport Beach. It turned out beautiful. I love the touches of turquoise. Using a pumpkin carving knife … I would have never thought of that – some people are just so smart! Your patio looks perfect. Beautiful details and gorgeous pictures, Mary Ann! Thanks for sharing my blog, too. Absolutely lovely! Your spaces are so peaceful & calming…well done. Such a lovely space! Love the accent of turquoise and the beautiful tablescape! Enjoy. Love the turquoise accents! And the necklaces on the bust. That is a beautiful touch that I never would have thought of. Thanks so much for sharing, you've definitely inspired me to go work on my patio area. What a great outdoor space! I love the fountain coming out of the wall. Always great to have a water feature. 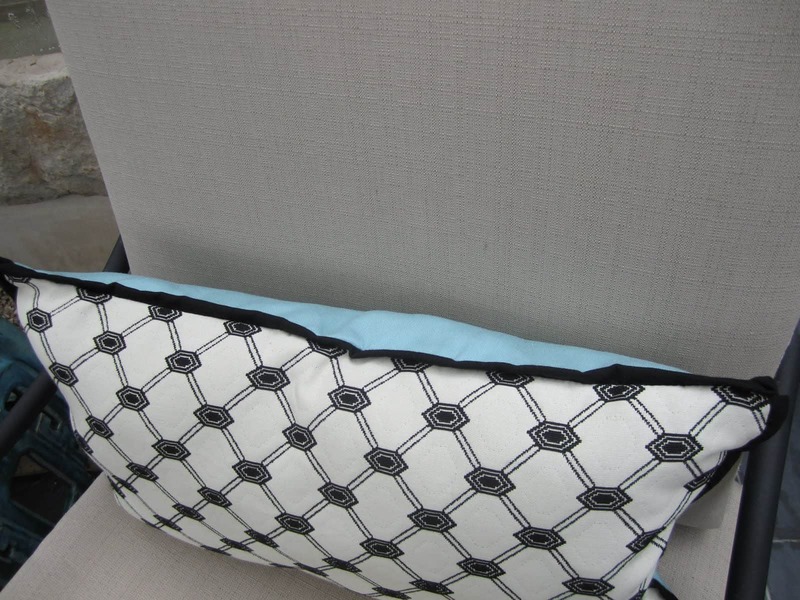 The turquoise added such a nice pop of color to the neutral beige and black–it looks wonderful! What kind of tile is on your patio, and do you remember where you got it? I love it! Oh my this is GORGEOUS!! Love love love the accents and all that you did, you are uber talented! Love the little drop of turquoise, so pretty!! Perfection! Stop by, last day for my giveaway for the Kilim bench! I love the new fabric you chose for the cushions. your patio looks perfect for entertaining. and i love the way your friend carved the watermelon. so clever to use a pumpkin carving knife. I've worked for hours on my garden, but after seeing your pretty outdoor area I realize that my patio could use a little love. Love your outdoor patio. Just lovely. I have done tons out on my very hot deck getting ready for the summer blog party next week. Hope you join me on Tuesday night with this wonderful patio. I love what you have done with your patio space and especially the garden stool. The turquoise is such a beautiful color. wow so pretty! looks absolutely lovely 🙂 and i agree i especially love the garden stool! Gorgeous! I love the color combo. And I love the tile on your patio. The entire space is a beautiful extension of your lovely home. Just found your blog, and have to say right now I love it! Your style is so appealing! 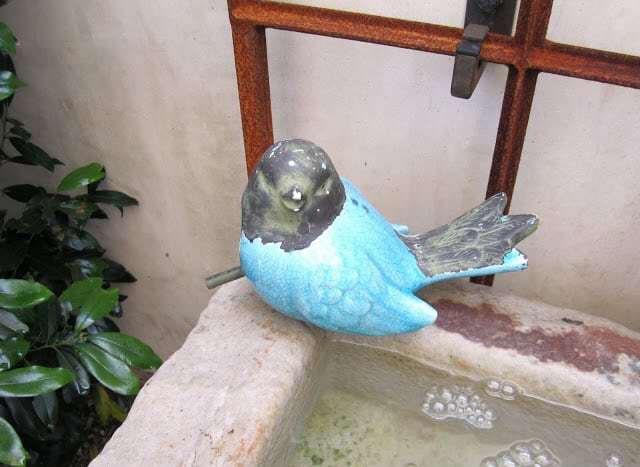 Your patio looks wonderful…I love the turquoise as the central color. Everything just flows around it. The cushions and the pillow you made are so pretty! I haven't done much more than clean up here, but I am well on my way in my garden at the lake. The weather hasn't been on our side, we've had a lot of rain lately and everything is muddy!! P.S. 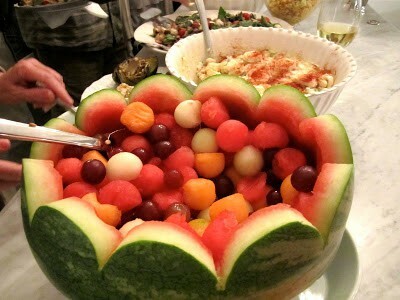 The watermelon salad is gorgeous as is your table setting! The turquoise accents are lovely – just the right amount of color. I love how you brought in some pattern with your accent cushions and tablecloths. Your patio has a casual charm, and looks very inviting. So gorgeous! I love all of the amazing details! Love the turquoise accents – the perfect pop of color! Thanks for sharing. You have the most gorgeous outdoor space! Love the touches of turquoise you added. I wish we had Home Goods here in Seattle. Everyone seems to get the best things there. 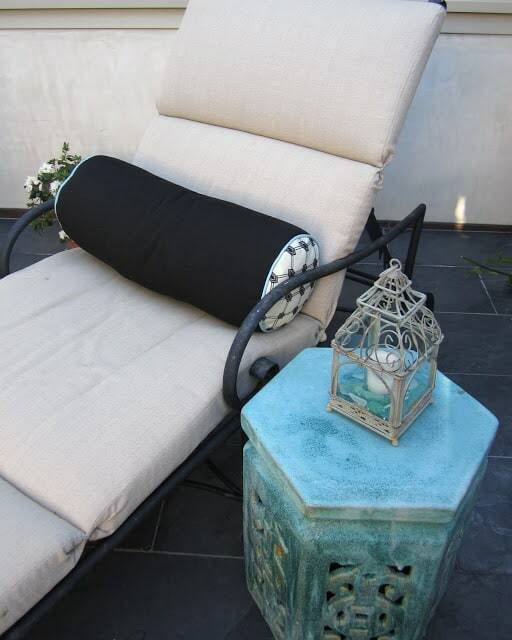 I have potted my plants and added a few new outdoor cushions this year. We finally have somewhat decent weather and I got around to giving my outdoor teak furniture a major scrub down for the season. It takes about 3 hours, so it's quite the workout! Now I can sit back with a glass of wine and not get mildew on my pants. Ah, the joys of living in Seattle! Love, love what you have done here Mary Ann! I love turquoise, and there is just enough here to be beautiful. You are a party animal, Mary Ann! Love what you've done with your outdoor space! Turquoise is my favorite color, so I appreciate all the touches of it that you've used. What have I done to my outdoor space? Let's see… My brand new Frontgate umbrella was just mangled in a windstorm, and when I tried to wrangle it back together, I cut myself to the point I thought I might need a tetanus shot. Tomorrow I'm going to pour more money than water into our pool with the purchase of a new automatic cover. Isn't that an exciting home improvement?? Sorry… you probably didn't REALLY want an answer to that question, did you? This is gorgeous. Do you live at a resort? 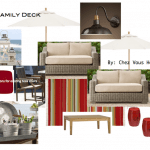 Your outdoor space looks amazing! I loved the story behind the gorgeous fountain. LOVE the garden stools, the pillows, the beautiful potted flowers and gravel and seashells on Lido Isle…what else is there to say? It looks perfect! Hope you are enjoying it right now at sunset. Yep…I love it all and I'll be right over to sit and enjoy that patio with you LOL! Seriously, it looks fabulous and I love the details. Hope you have a wonderful weekend.. So pretty! You've inspired me to work on our deck a bit this weekend. Hi Mary Ann~ Love the splashes of turquoise. What a great color to put into your beautiful mix of fabrics. 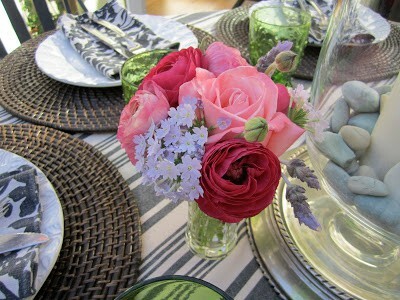 Love the table setting too. Your patio looks beautiful! You really inspired me again here!!!! Mary Ann, Looks so pretty! I love your garden stool. What a beautiful space. Table looked lovely as well.! 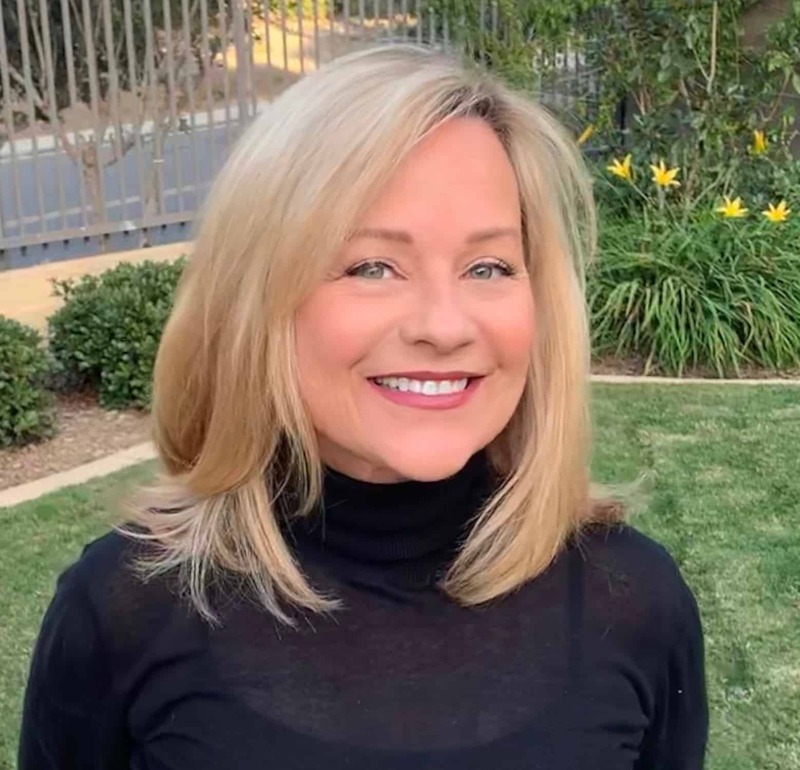 Thanks so much for adding me to your blog list! Have a great weekend! What time should I be over!!! Love it all. So pretty. I have totally ignored my backyard this year. Too much going on inside. I need to get motivated and these pictures might help. Beautiful. I love it! It's so welcoming and relaxing…. perfect!!! Everything looks truly lovely~ easy n' comfy n' charming, & I sure do LOVE the color of that yummy garden seat, etc… Turquoise always looks sooo good at the beach (Well, "DUH, Linda!")!!! Could you do us all a favor next time & include just even ONE PIC of "my" ocean??? THANKS, girlfriend!!! It looks beautiful! You have done a fabulous job! What fun. I found your blog through a post in New Jersey- we shop at the same places):- What GREAT style you have. Most of the changes this year on patio have been subtle. The most important one was scrubbing the brick really well to re-seal with wet look sealer. Makes the floor shine like at the White House! Gorgeous! I adore the aqua touches, so chic! Happy summer! 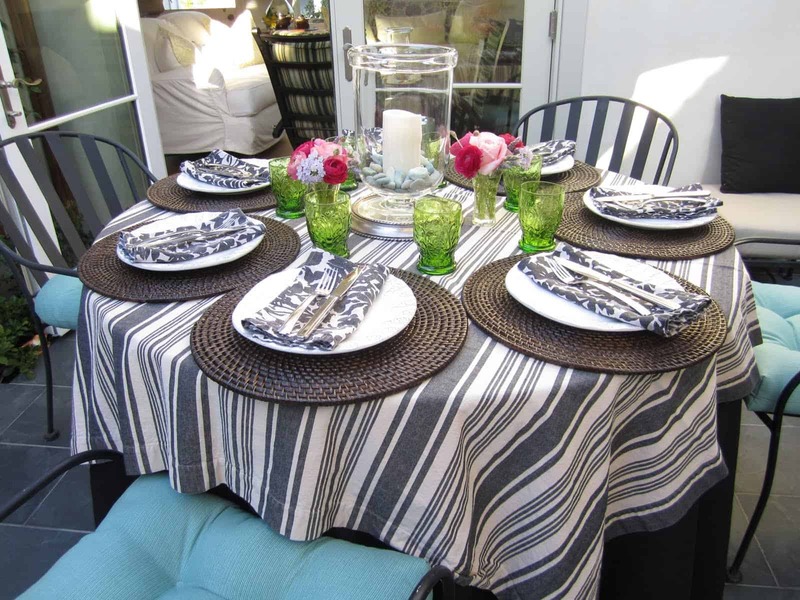 Your outdoor room is gorgeous…love the beautiful colors in your party set-up. The turquoise really pops in the space…beautiful. We are currently sealing our deck and trying to get it spiffed up by the Fourth of July party. Beautiful colors and fabrics! Love that fountain. Perfect for summer parties. 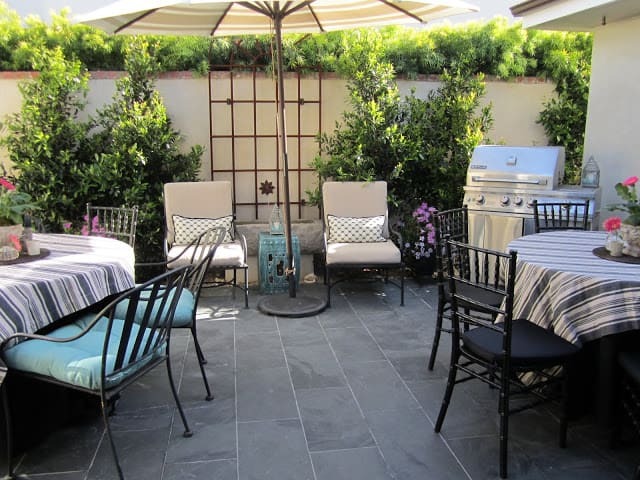 Your patio is absolutely stunning, Mary Ann! Love the turquoise accents and the lavender and white flowers. Great job! What a wonderfully styled patio! I could live out there. Very pretty and inviting. And, of course, I'm a sucker for turquoise! Thanks for the inspiration, as I'm busy, too, making changes in my own nest…. Looks perfect and ready for summer enjoyment. Great sourcing and attention to details…it makes a lovely difference. What a beautiful outdoor space! Lovely in every way. 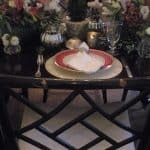 I like your tablescape too! Thanks for linking this up at Home Sweet Home! 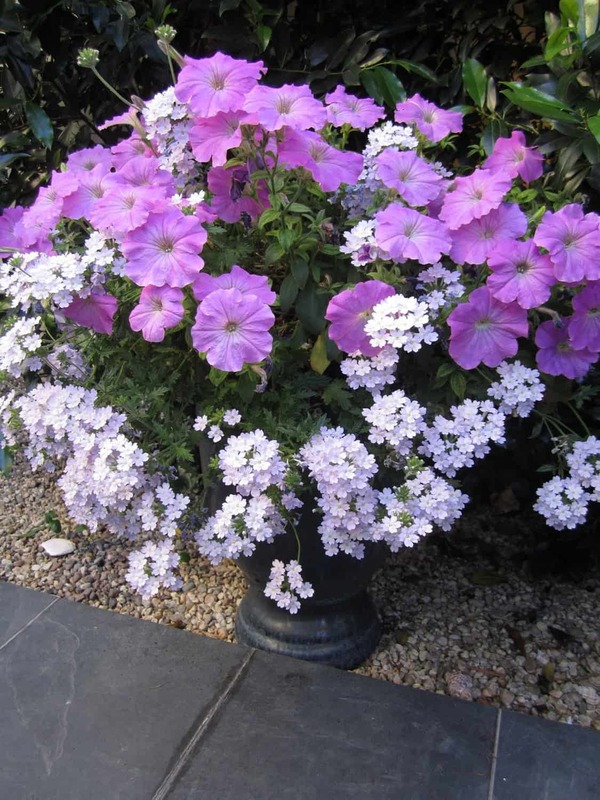 You did a fabulous job with your terrace. The garden stool was the perfect starting point – love all the touches of turquoise. And I'm going to have to remember that watermelon – what a great idea!! I LOVE every aspect of this space! It just looks so peaceful and relaxing…the colors, the fountain, all of it. You know, at 105' here, it's impossible to enjoy sitting outside. Enjoy, enjoy! Oh how gorgeous. I love how manicured everything looks, and your choice in colors is so lovely. A pretty tablescape only adds to the charm. You really know how to add the perfect touches to a beautiful outdoor space. 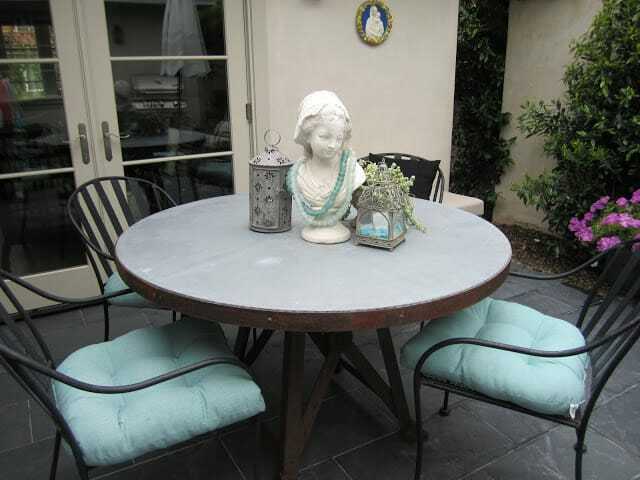 Wow you have a beatiful outdoor patio Mary Ann! Love the punches turquoise color…perfect near the beach! Stopping by from SOYCM. Happy Monday! 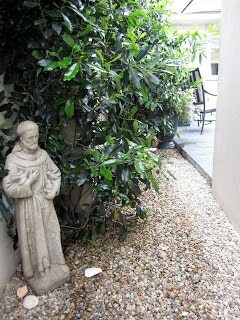 Love your outdoor patio..it's happy and cool! You are very creative! Your patio is lovely. The color combinations and detail are beautiful. 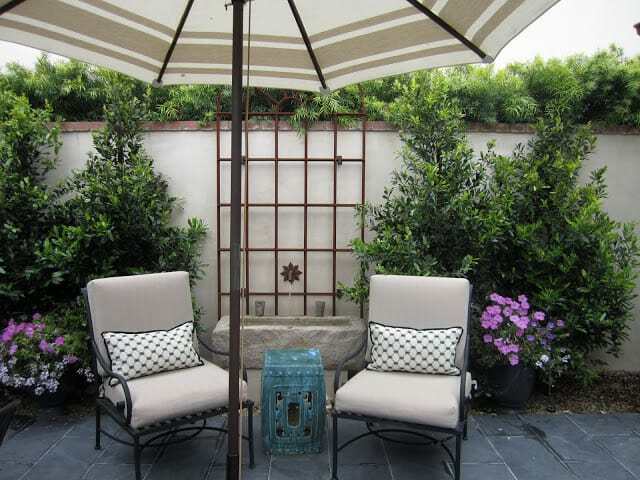 Perfect place for a wonderful gathering of friends or to just have a peaceful moment to yourself. Beautiful. I followed you back in the beginning of June but for some reason I guess it didn't "take" (must have been during all the Blogger problems)so I have re-followed you today. My little icon has disappeared so I follow in one of those generic silhouettes. Wish I knew how to get my icon back. Happy to be your follower. darling!!! love the color scheme. gorgeous!!!!!!!!!!!!!!!!!!!!!!!!!!! makes me so jealous. i need to overhaul mine like yours!!!!!!! Love the touch of turquoise to brighten everything up. My favorite piece is your zinc topped table. Where did you get it? Gorgeous! I recently updated my screen porch in a primitive farmhouse style on the cheap. Your patio turned out gorgeous! You really made it look even better. 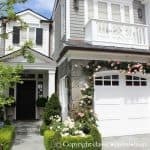 I find your outdoor design very unique.